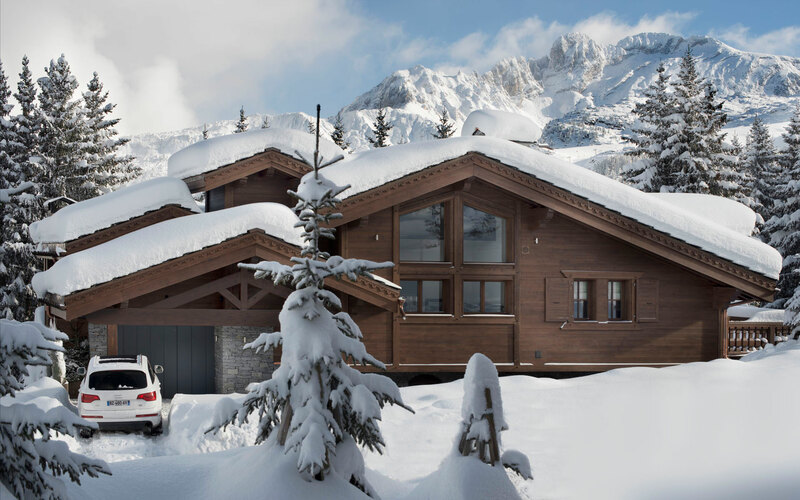 Like a new Porsche concealing innovative technology within its timeless outline, this luxury ski chalet has a traditional wooden exterior and a totally contemporary interior. 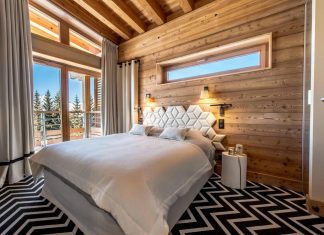 If you are tired of rustic chic, exposed beams and antlers, the newly-built Chalet Le Coquelicot is a breath of fresh, and very refined, mountain air. 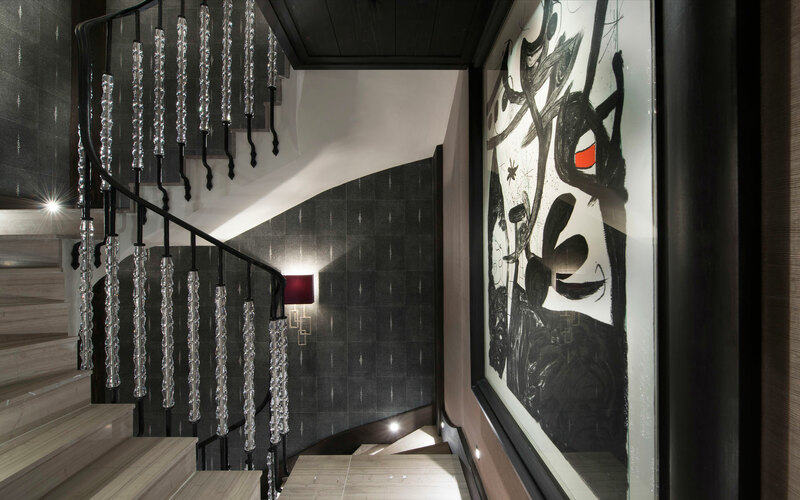 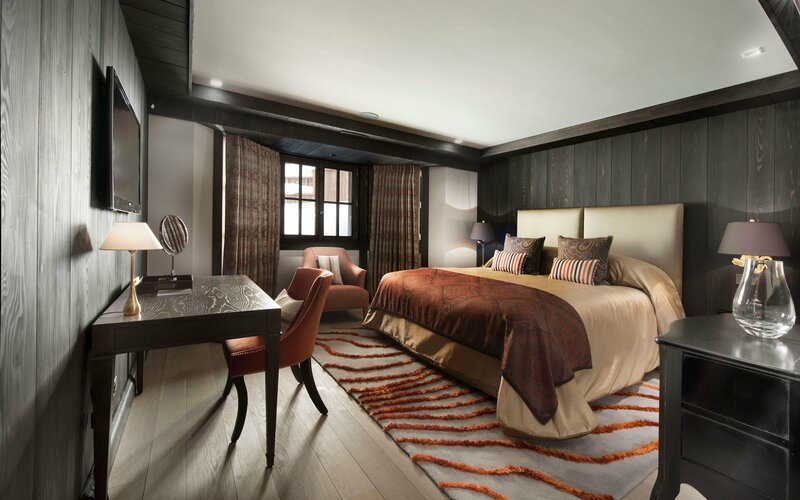 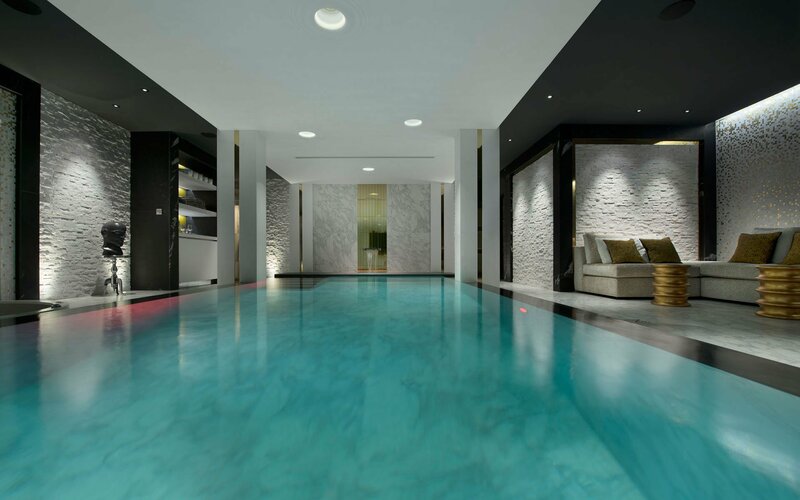 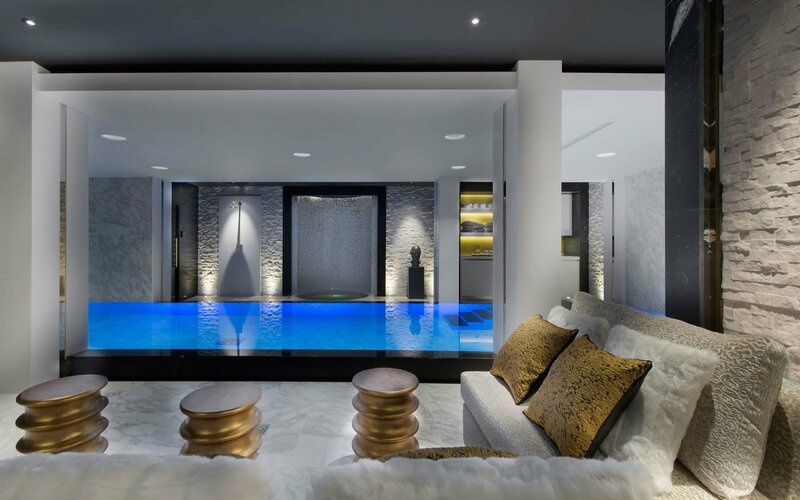 Built into the mountain at the exclusive location of Nogentil in Courchevel 1850, Chalet Le Coquelicot has 580 sq.m of living space spread over 6 floors. 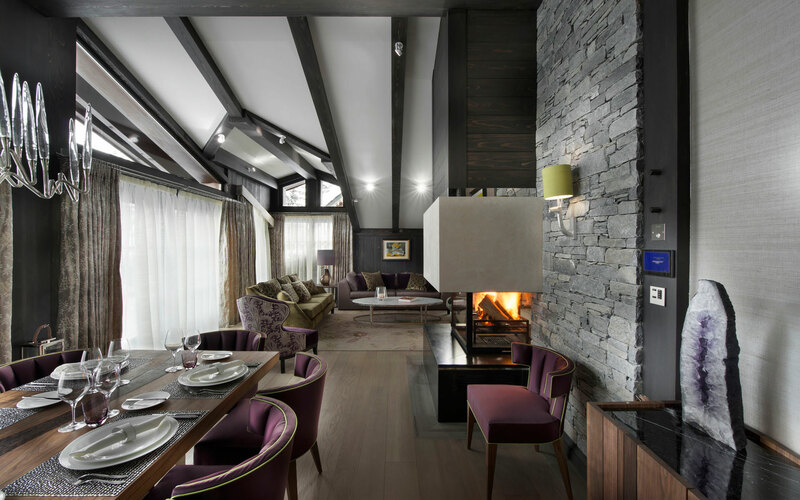 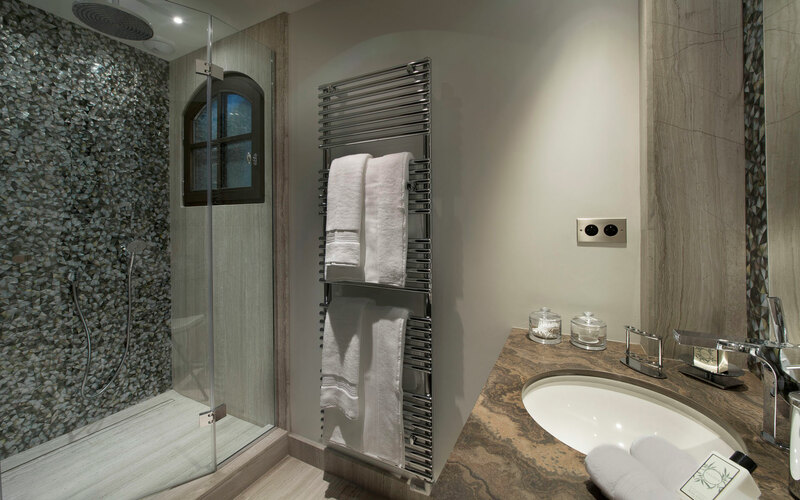 No expense has been spared in decorating this luxury chalet with the highest quality, modern materials such as marble, stone and mosaic tiles. 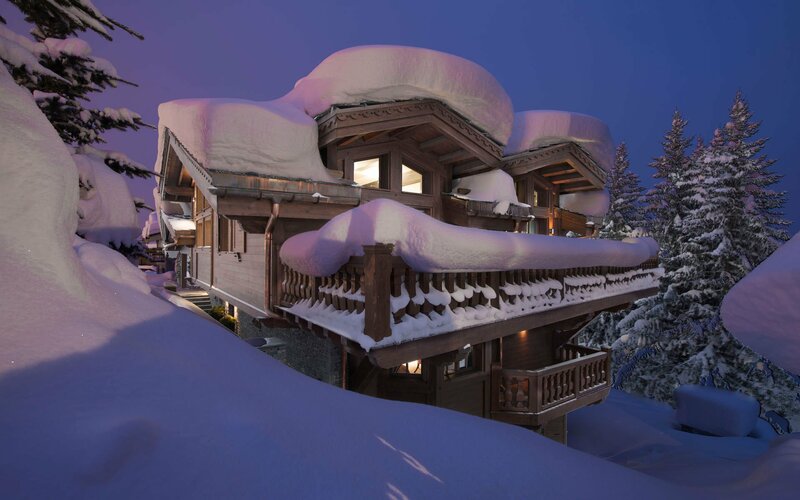 Best of all, there’s no tramping through the slush, lugging your skis, to get home. 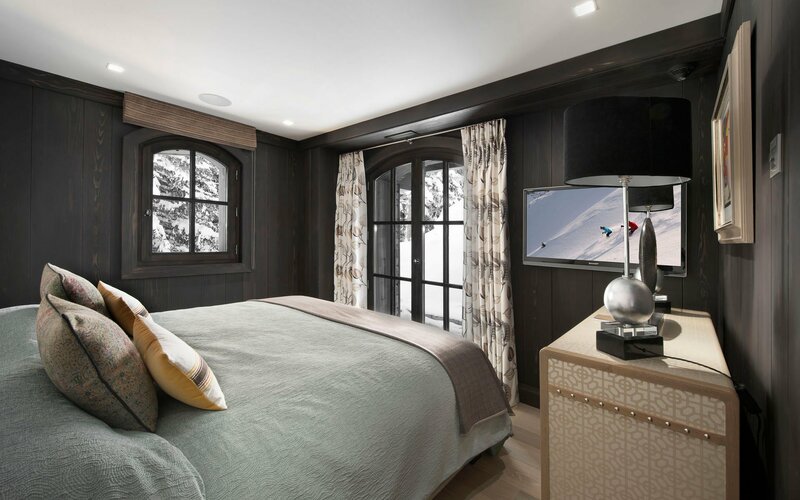 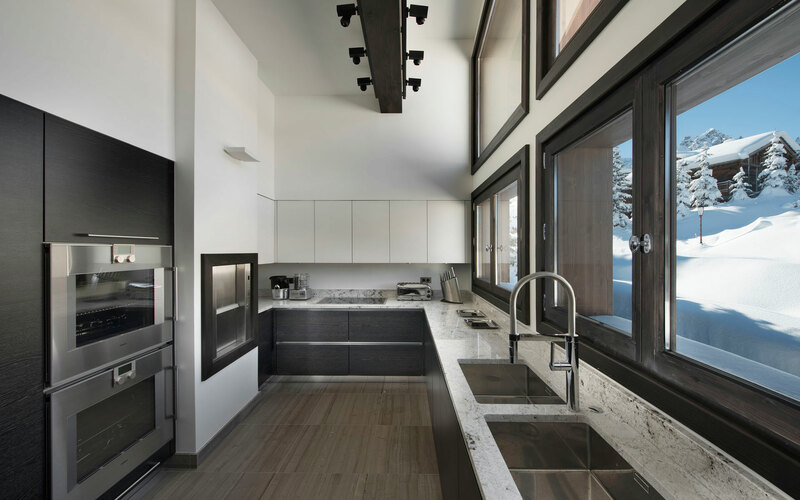 At Chalet Le Coquelicot you ski straight out and back home to your door. 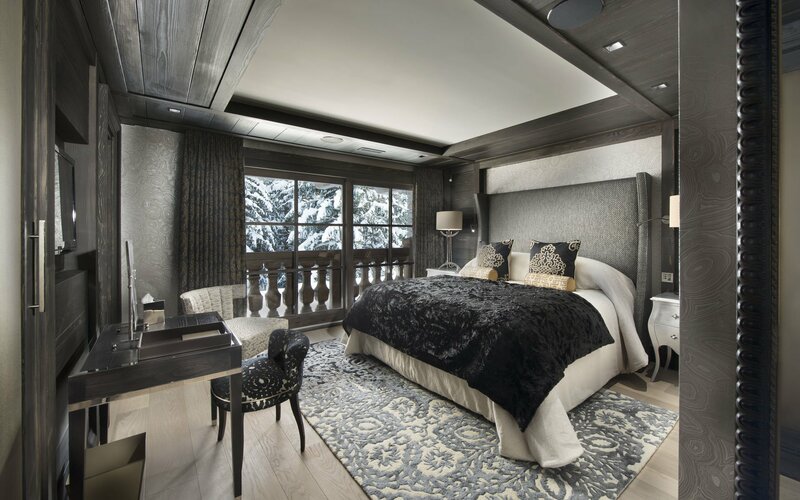 After the welcome drinks, take a little time to explore your exciting Alpine pad by gliding up and down in the elevator. 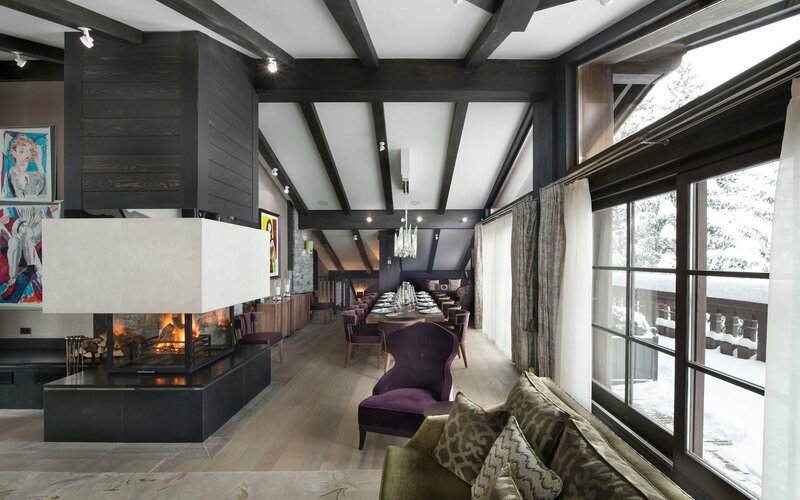 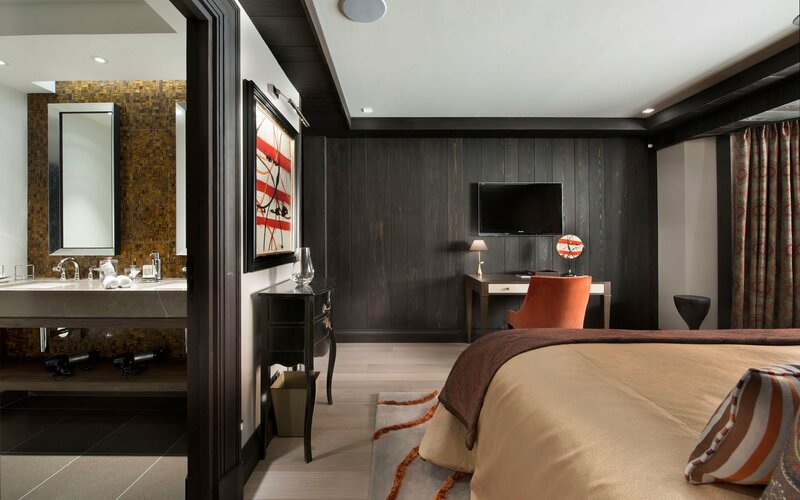 At the top of Chalet Le Coquelicot you’ll find the huge, sumptuous living and dining area with an open fire, high tech sound system and magnificent views, and down in the basement you’ll discover the streamlined surroundings of the spa area, pool and another stylish lounge. 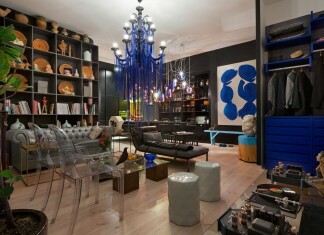 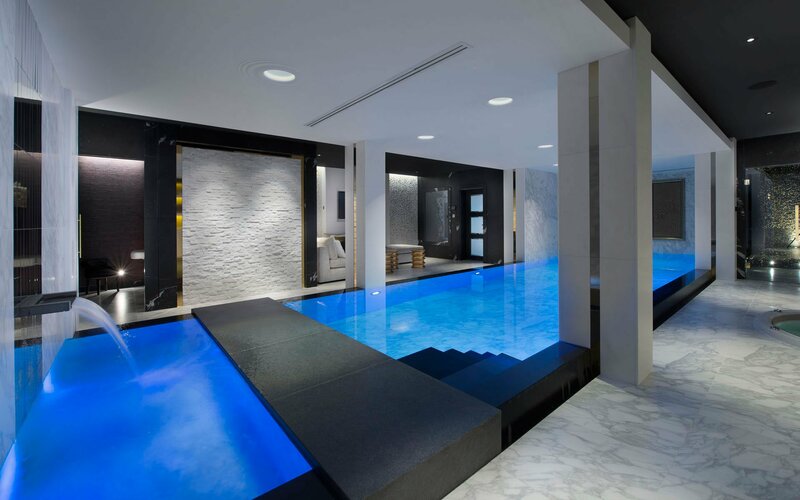 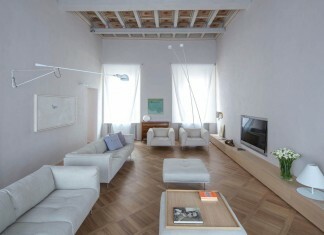 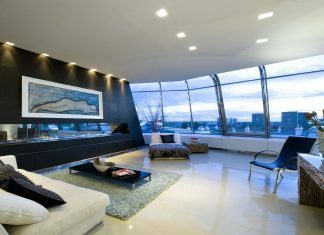 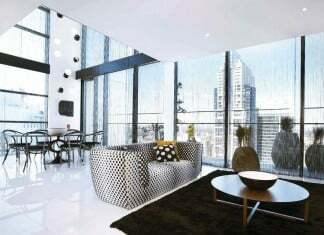 The floors in-between are packed with lavish indulgences and state-of-the art technology. 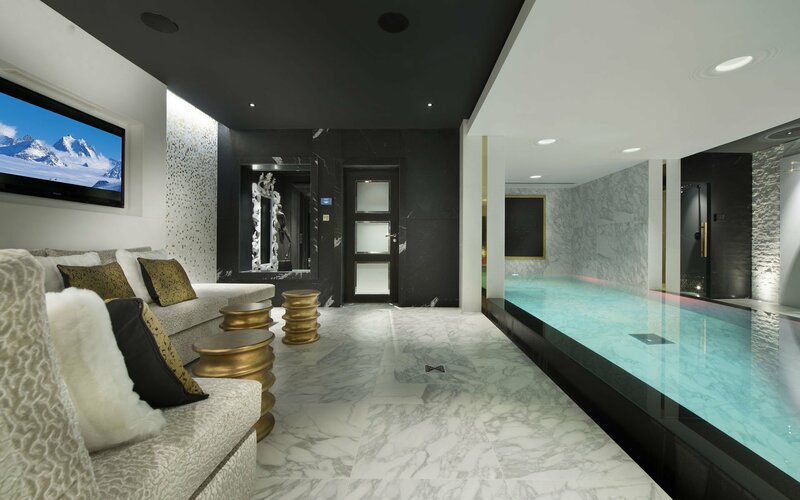 Step out on floor -3 for the swish indoor parking area, accessed by car lift. 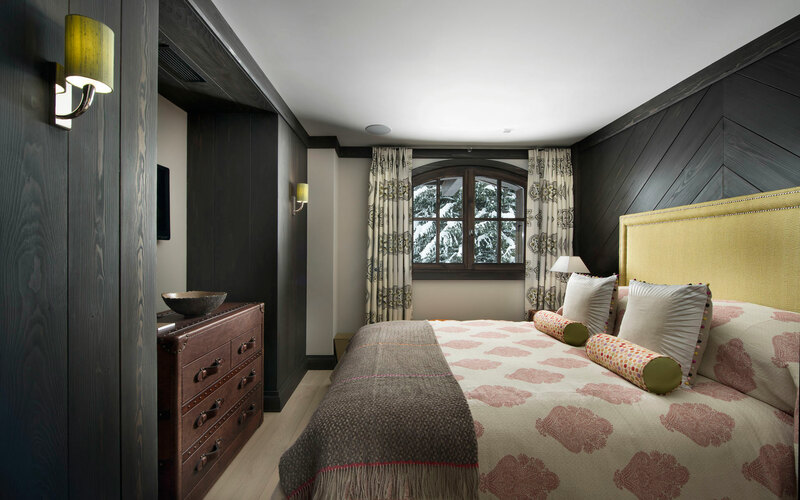 Exit at level -2 for the state-of-the-art ski room and well-stocked cellar. 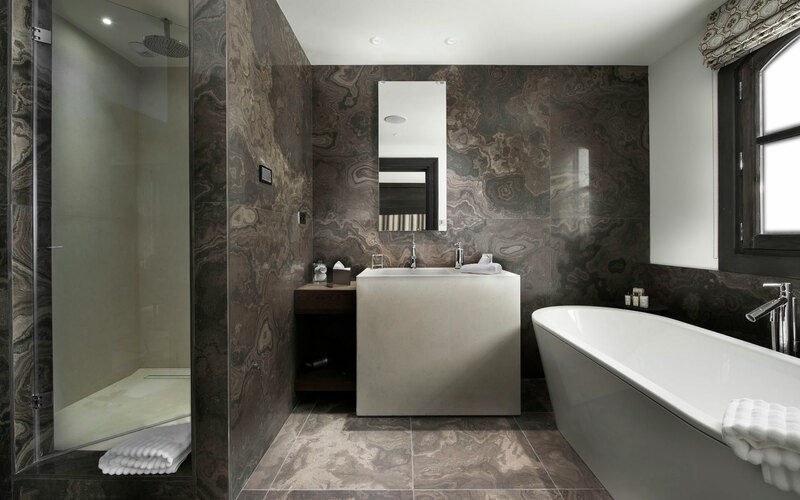 Alight at levels -1 and 0 for the sophisticated comfort of the en-suite bedrooms and private terraces. 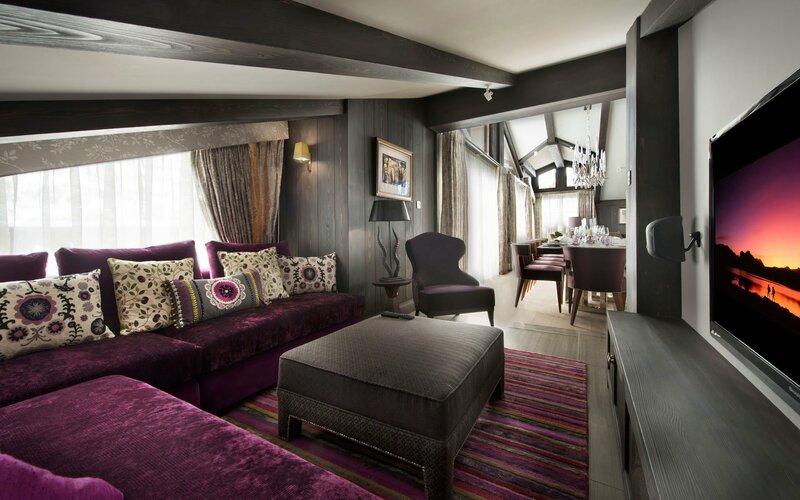 Chalet Le Coquelicot has all the hallmarks of a five star boutique hotel, including a concierge to make all your arrangements. 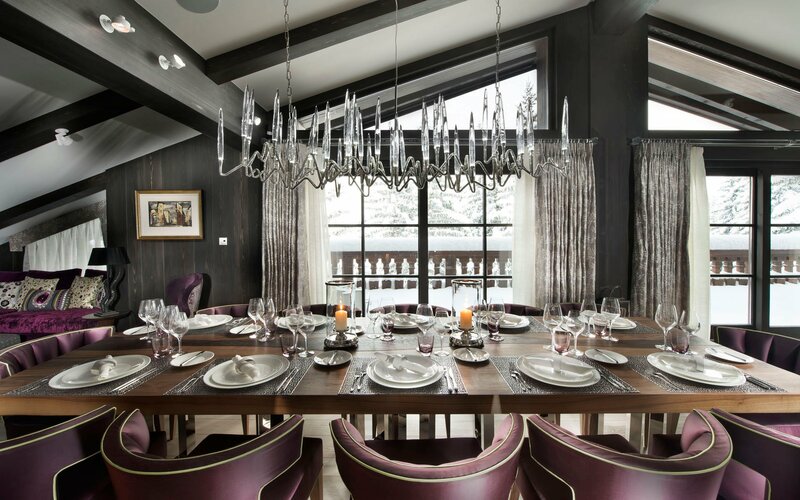 You can ramp up the extravagance by booking the optional private chef and butler services, or make your own catering arrangements. 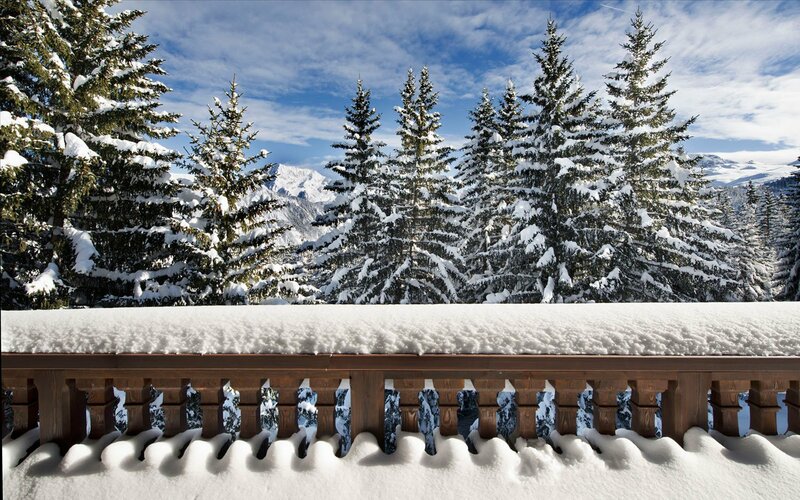 Either way, the Manager, housekeepers and maintenance staff are there to keep the chalet running smoothly, and the concierge service is at your command.